The California lawyer’s trusted source for fast, relevant, and practical legal guidance. Want to reprint a CEB blogpost? February 18, 2015 February 18, 2015 / Julie Brook, Esq. Do you feel like you learned a lot about contract law in law school, but very little on how to actually draft one? You’re not alone. Check out these principles of contract structure and organization, and you’ll have no problem drafting your next contract. You have many audiences. A contract is a form of communication that a diverse audience will read and use: the client, the other party or parties to the contract, all parties’ attorneys, the persons who must perform under the contract, a judge or a jury (if the contract becomes the subject of litigation), successors in interest to the original parties (e.g., trustees in bankruptcy, executors, receivers, new management), and possibly other third parties (e.g., lenders). Clarity is king. A contract should fully, clearly, and accurately describe the transaction and identify and protect the rights and responsibilities of the parties to the contract in a way that all interested persons can understand and agree to. If you don’t know why it should be included, it shouldn’t. The contract should be as succinct as possible while still being comprehensive. Each provision should serve a specific purpose in the transaction; if it doesn’t, or if you can’t explain its significance, eliminate it. The fact that a provision appeared in a form document or an earlier agreement does not necessarily justify its inclusion in a new agreement. Delete all anachronistic or irrelevant provisions. General provisions should come before specific provisions. Major provisions should come before minor provisions. Provisions that will be used more often should come before provisions that will be used less often. The rules should come before their exceptions. Permanent terms should come before temporary terms. Technical and housekeeping provisions should come at the end of the document. Depending on the transaction, however, it may be better to follow the typical organizational structure of other agreements of the same kind, because both counsel and clients will be accustomed to seeing, and will expect to see, certain provisions in a certain order in that type of agreement. Adhering to the normal organizational structure for these agreements in drafting will assist the parties in review and interpretation of the agreement after it is signed. Finally, design matters. 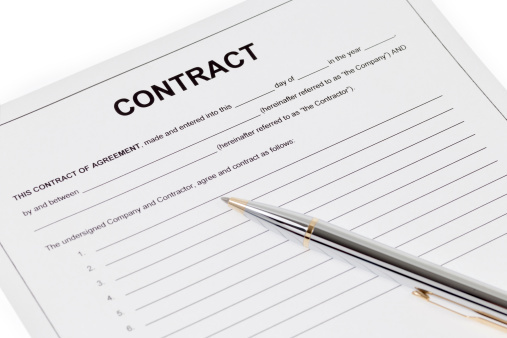 All contracts, not merely those involving consumers, should be as readable as possible. Mechanically, this means that the font should be large enough to be visible and legible, and margins should be wide enough to allow the reader to note any comments. You may want a contract of more than a few pages to have a table of contents at or near the beginning. Make sure to group related provisions together. Get information on contract drafting standards and strategy in CEB’s Drafting Business Contracts: Principles, Techniques and Forms, chap 2. © The Regents of the University of California, 2015. Unauthorized use and/or duplication of this material without express and written permission from this blog’s author and/or owner is strictly prohibited. Enter your email address to subscribe to this blog for free and receive notifications of new posts by email. © The Regents of the University of California, 2010-2018. Unauthorized use and/or duplication of this material without express and written permission from this blog’s author and/or owner is strictly prohibited.